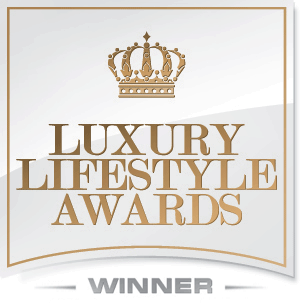 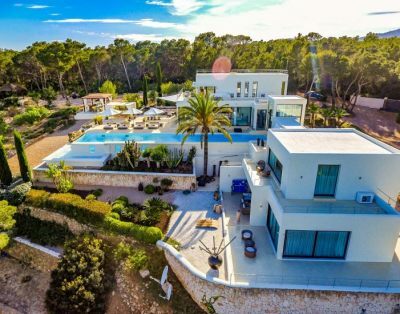 Welcome to Villa Blanc Bleu! 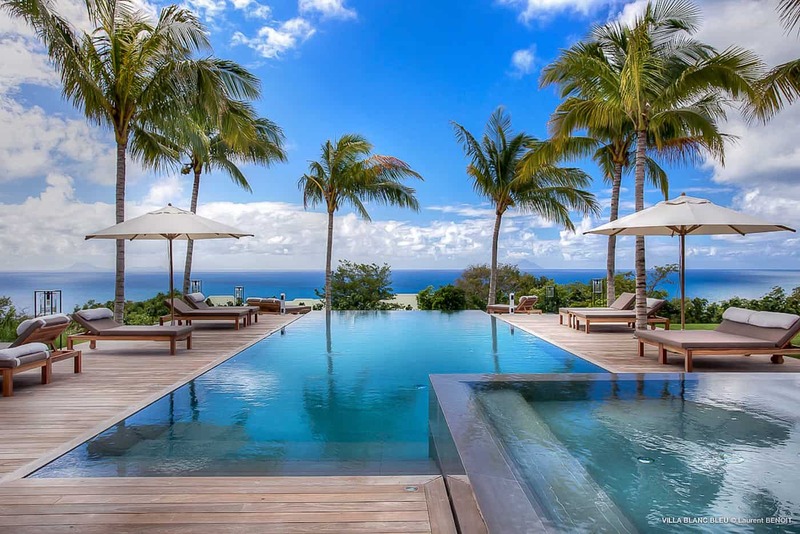 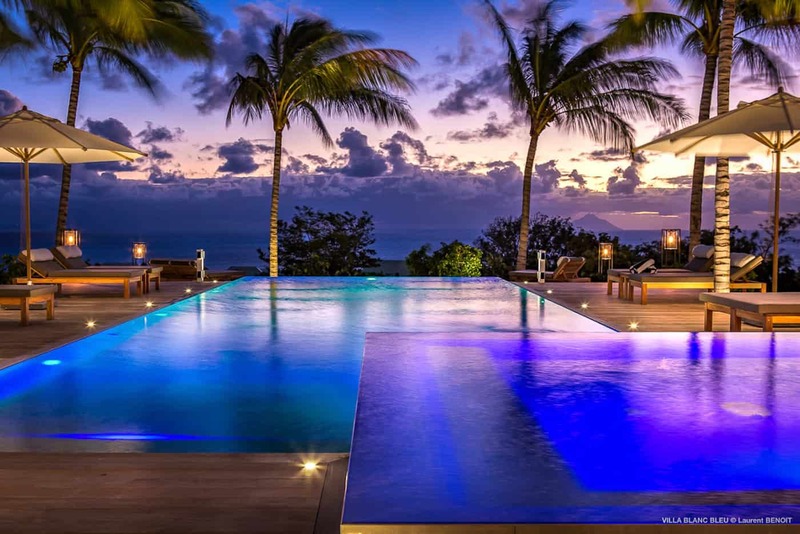 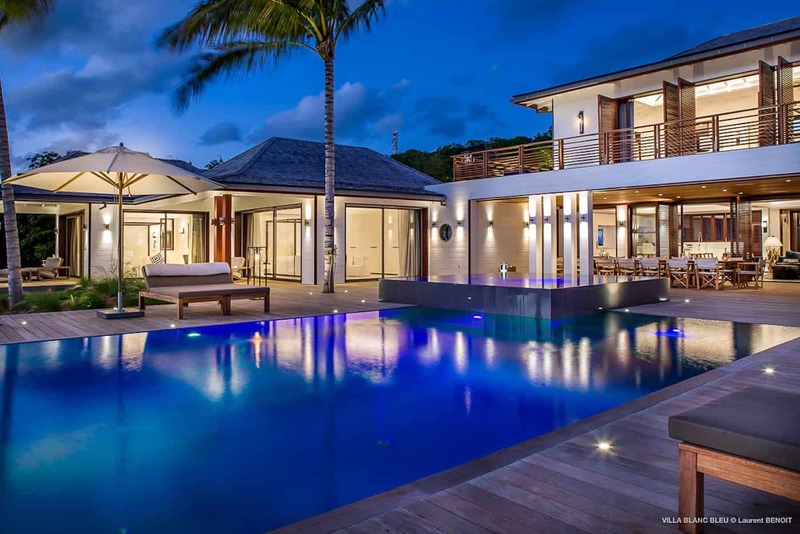 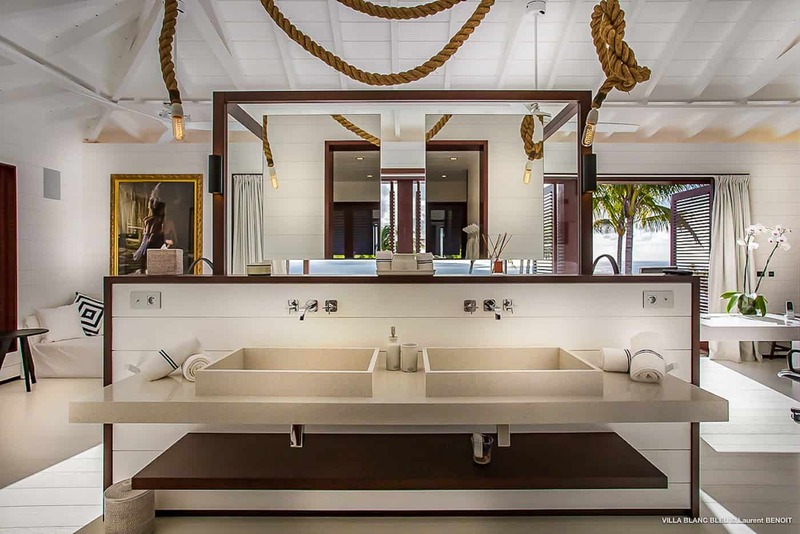 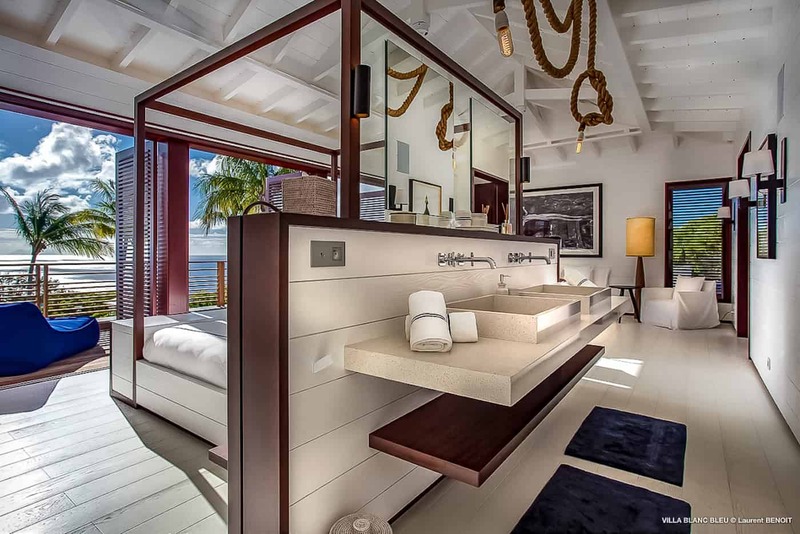 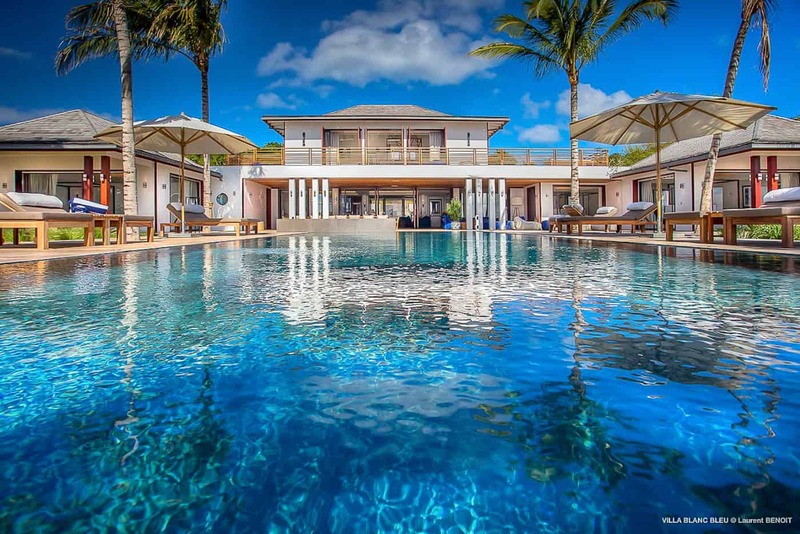 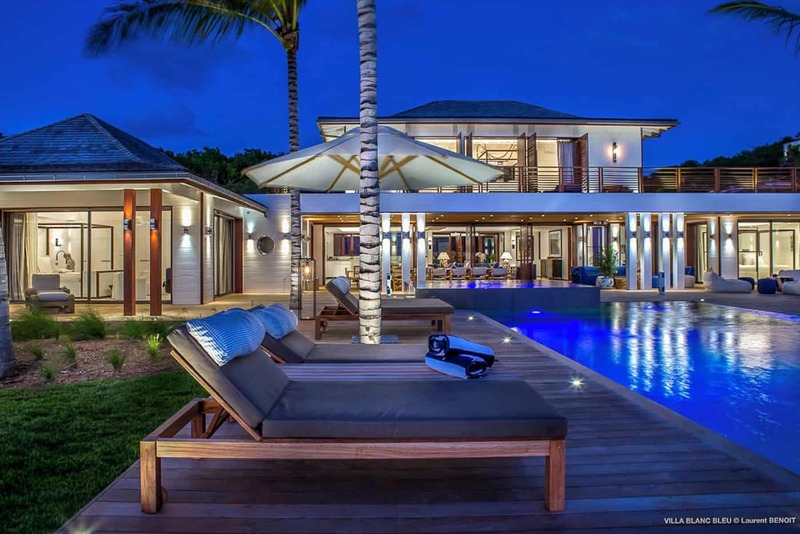 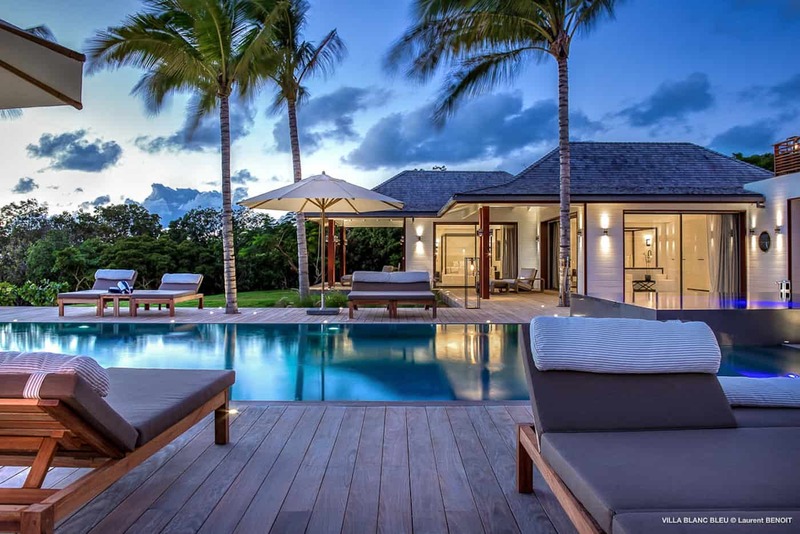 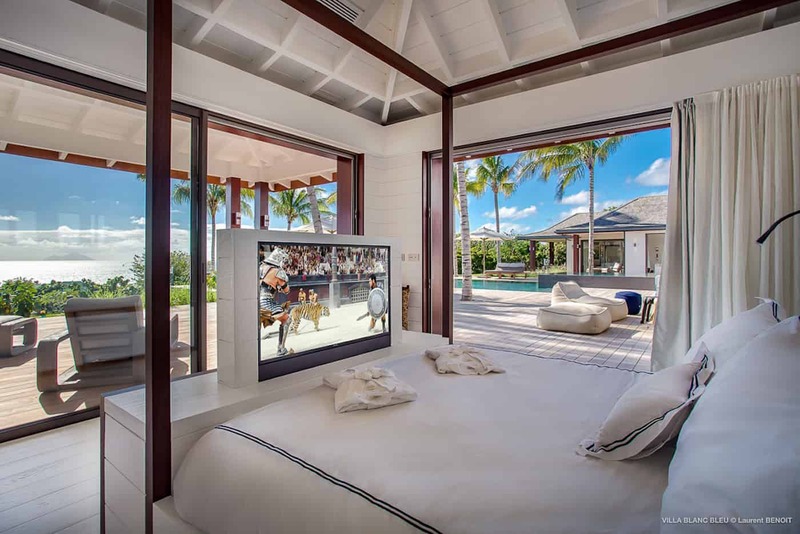 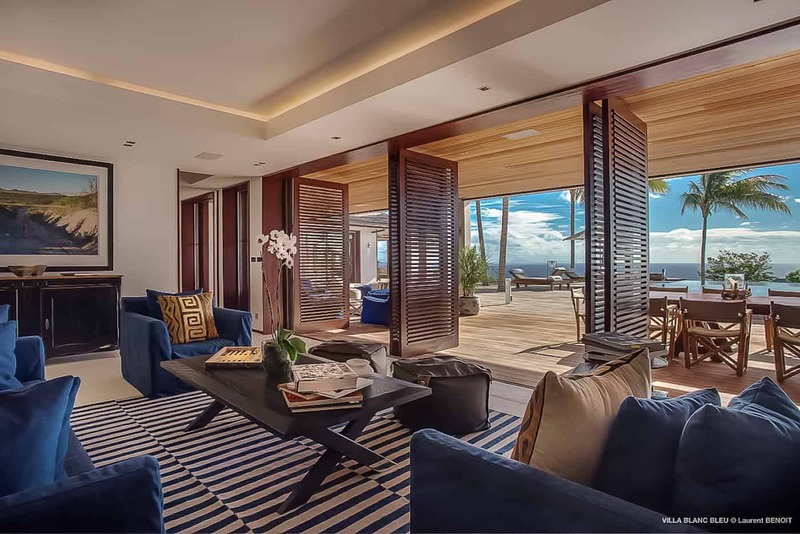 Villa Blanc Bleu is located in Lurin, St. Barths, one of the most popular vacation destination in the world for elite travelers. 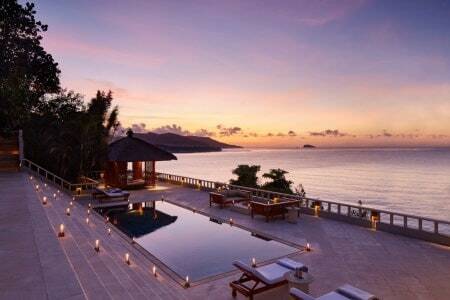 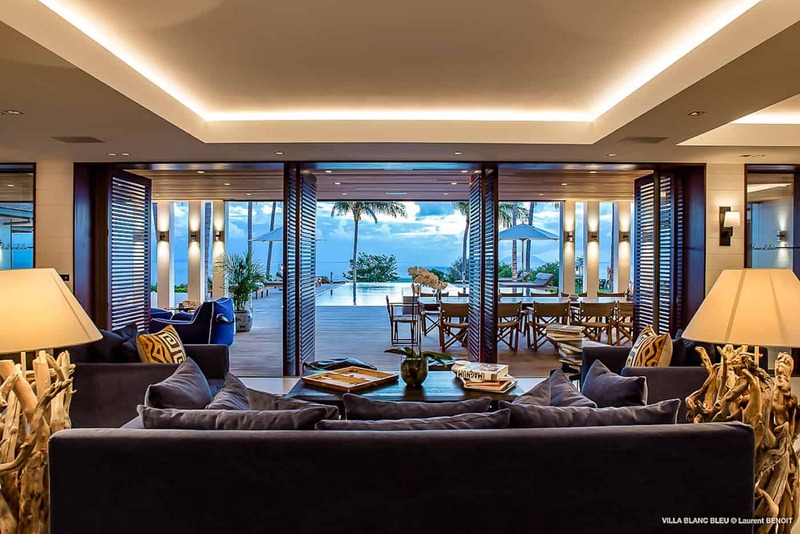 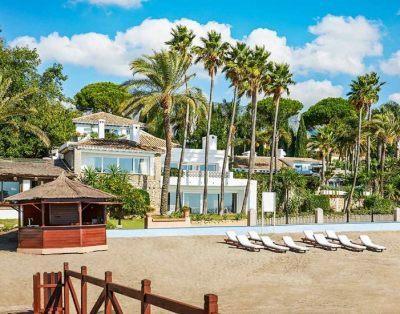 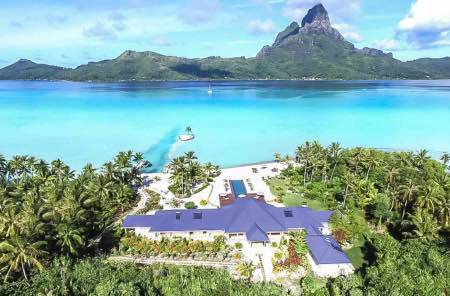 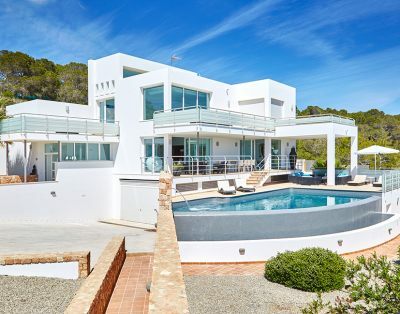 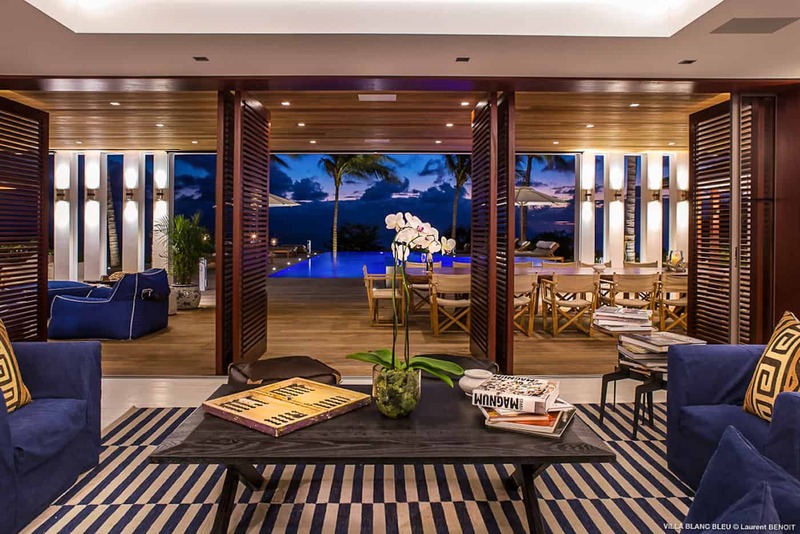 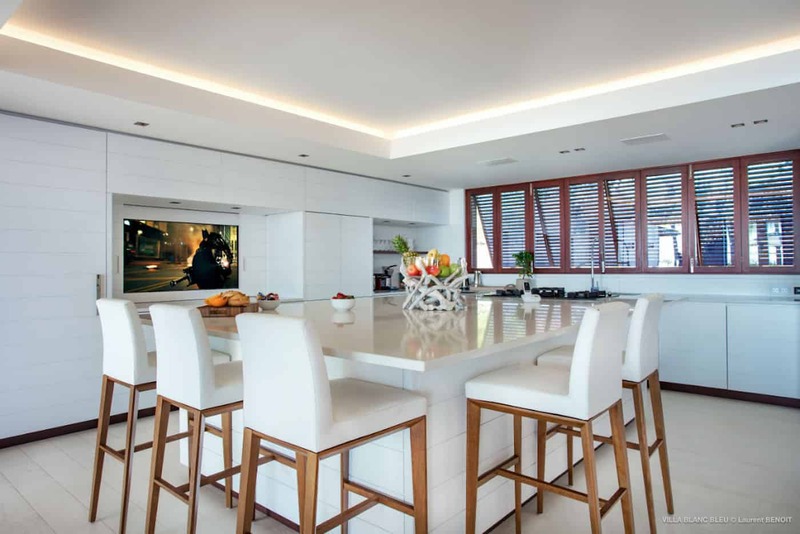 This exclusive luxury villa rental features elegant interiors, spacious outdoor areas, and spectacular ocean views. 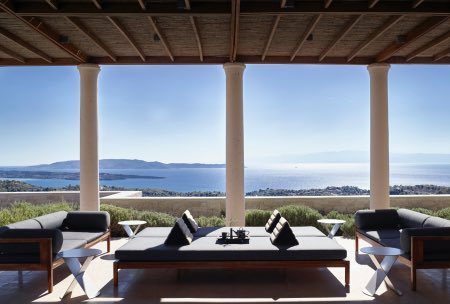 The large covered terrace is perfect for relaxing or dining, the dining table outside accommodates up to sixteen guests. 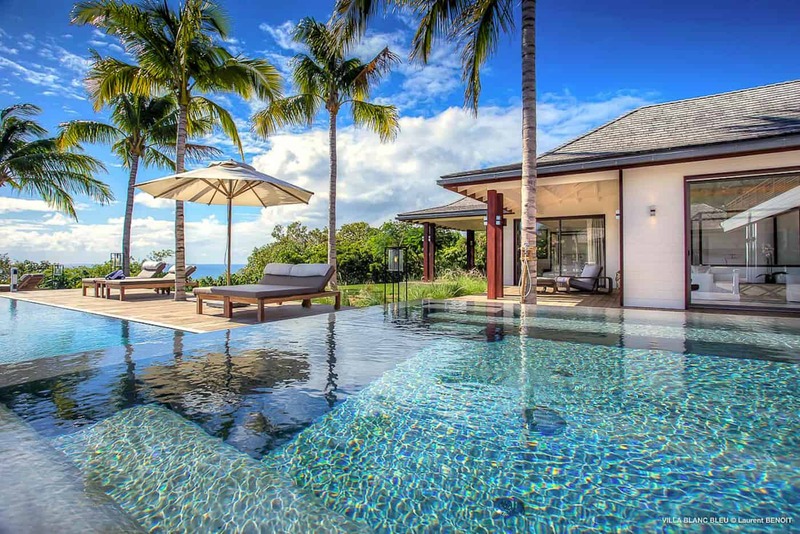 There are plenty sun loungers that surround the large Infinity pool and hot tub. 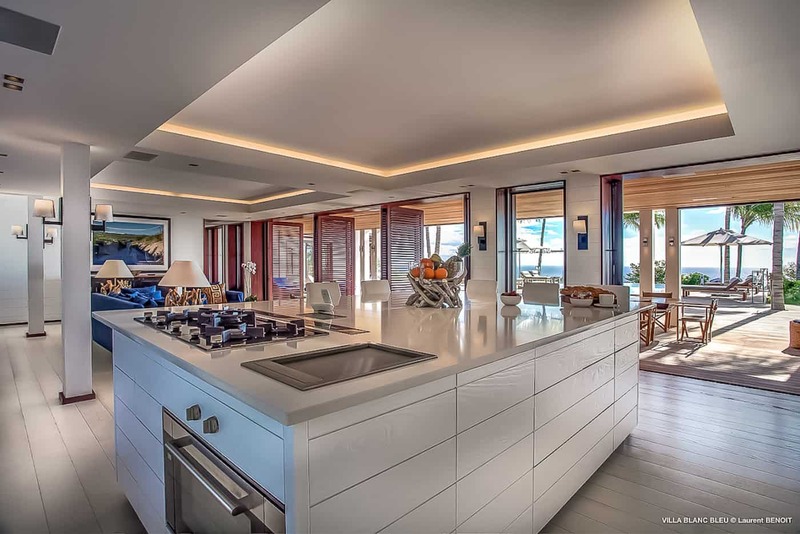 Step inside where you will find a spacious fully equipped kitchen with a breakfast bar with the open space living area. 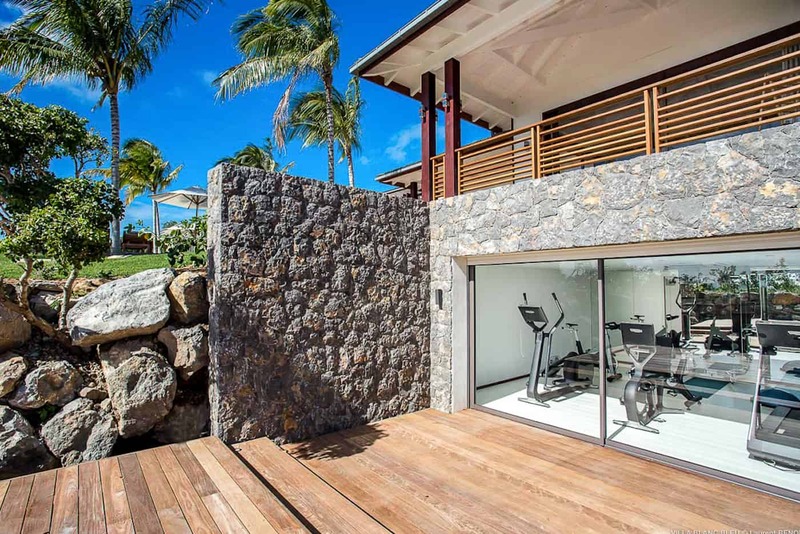 Villa Blanc Bleu features a gym. 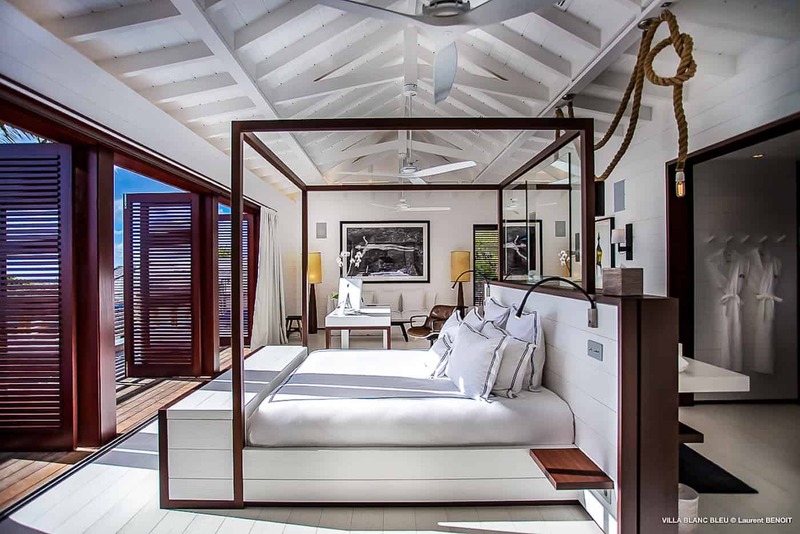 The architecture at Villa Blanc Bleu features elegance enriched with exposed wooden beams, doors, and window trim keep it connected to nature. 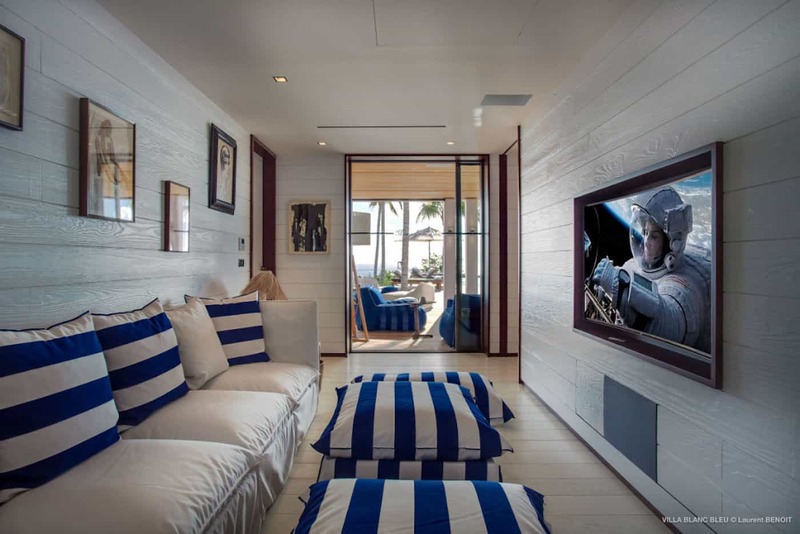 The decoration inside includes white walls, comfortable furniture, and artwork. 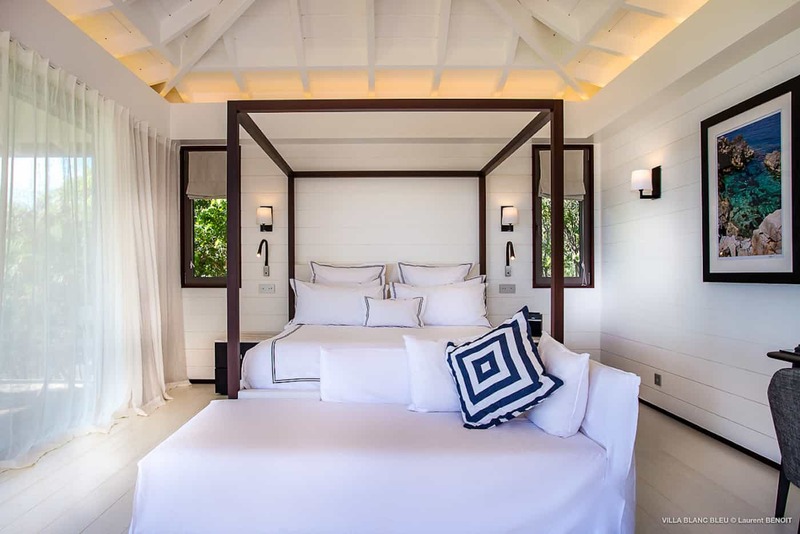 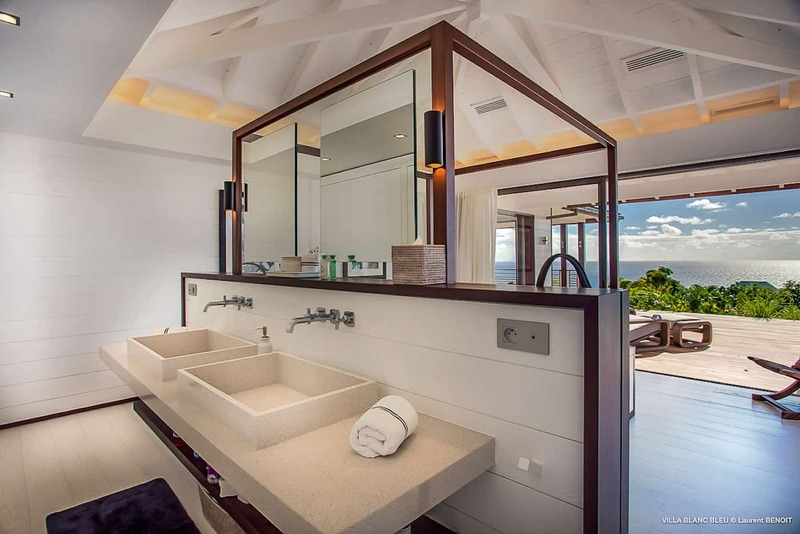 There are six large bedrooms at Villa Blanc Bleu: the master has a king sized bed, ensuite with shower, dual vanity, lounge, and a private terrace, three bedrooms have king and ensuite bathroom, two bedrooms have twin size beds with ensuite bathrooms. 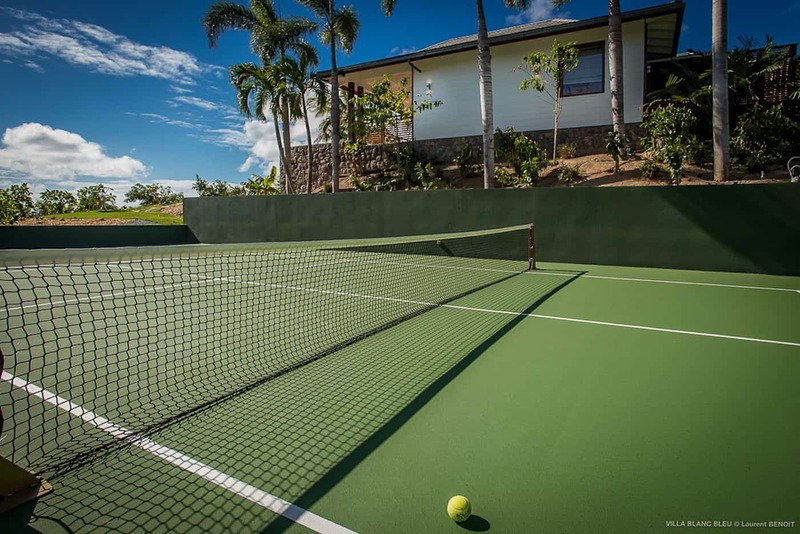 This luxury accommodation accommodates twelve guests making it a perfect vacation villa for large families and group of friends. 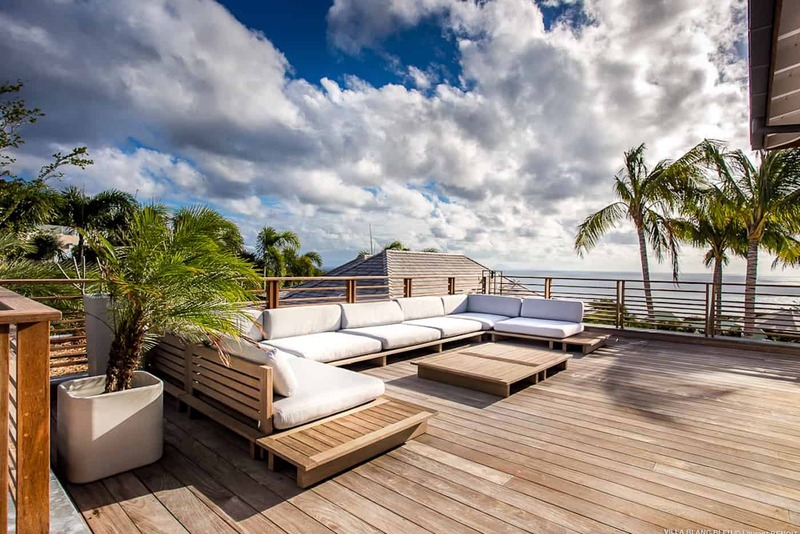 Gustavia is located 2,3 km from the property, beautiful Gouverneur Beach a short drive.